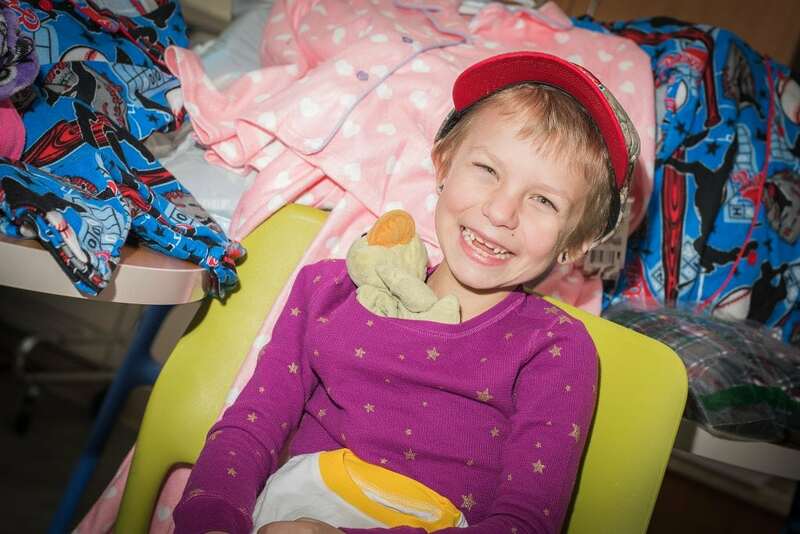 How appropriate that a girl named PJ would donate PJ’s to her Medical Center! This sweet girl has been through more than the average grown up, but it doesn’t slow her down! Miss PJ is 7 years old. She is now in remission and we are so excited for her and her family! PJ has been undergoing cancer treatment at McLane Children’s for bi-lateral Wilms tumors (kidney cancer). 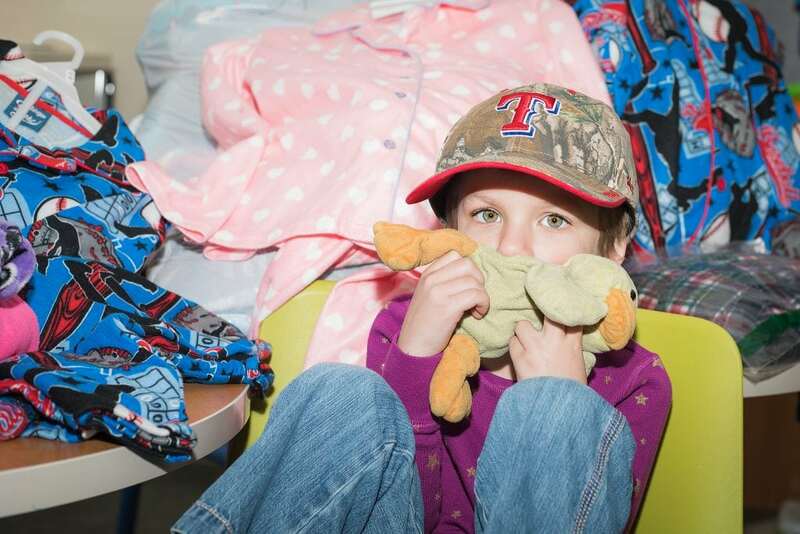 For PJ’s 7th birthday, she decided that instead of presents, she wanted everyone to donate pajamas for kids just like herself at McLane Children’s. She has now donated over 200 pairs of pajamas and she isn’t done! This amazing little girl was a bit shy at first, but with her best duck friend at her side and after finding a pair of duck pajamas in the mix, she was all smiles. Thank you PJ for showing all of us grown-ups how it’s done! Next post: Bell County Medical Alliance sends kids to camp!